We are so excited to be a featured event at this week's LCDQ Legends event. 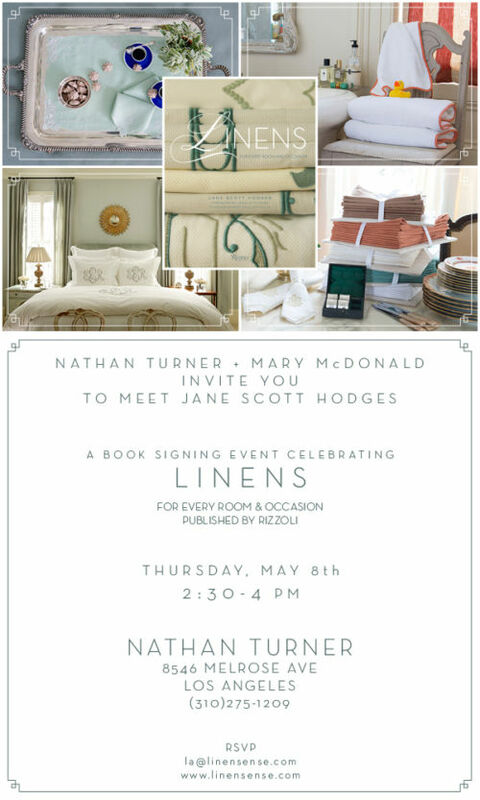 We are so lucky to have the very esteemed Nathan Turner and Mary McDonald hosting our event, both of whom were contributors in Linens: For Every Room and Occassion. Learn more about Nathan Turner by checking out his website. You can catch up with Mary McDonald as well, just go to her website for all the glorious details! You can also check out both on our Contributors Page.